Generally speaking I am quite skeptical regarding low budget audio gear, but sometimes there are exceptions, and I think Fiio E10 is one of them. 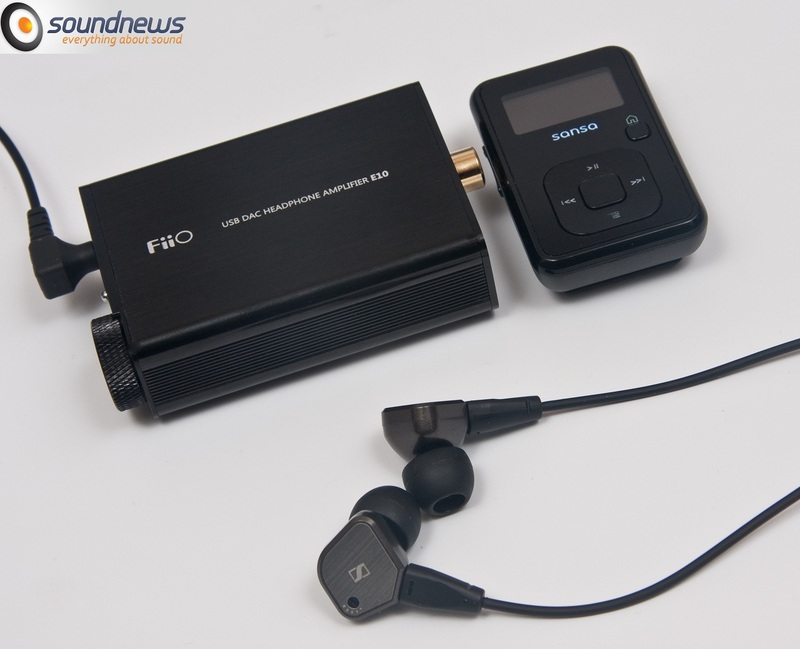 Fiio is a relatively new company on the audio market, having headquarters and factory in Hong Kong. Also there are designed and manufactured all of their products. 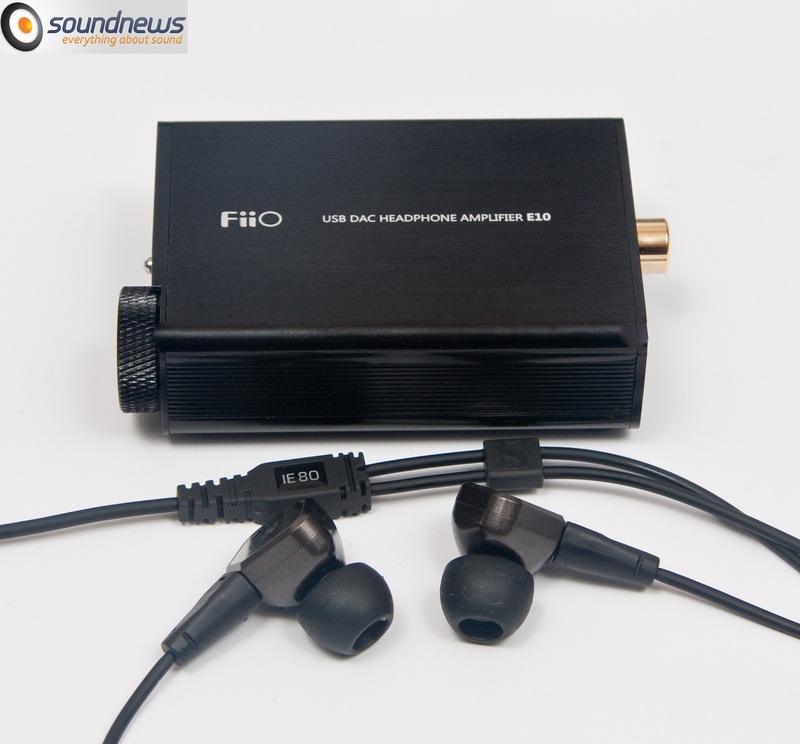 A few years ago, I have listened the first of their products – Fiio E3 and E5 portable headphone amplifiers. But opinions were not as expected, they didn’t impress me, I even thought it added distortion to the music, making it more muddy without bringing more quality to the music. At least this is how E3 sounded – louder than an MP3 player, but sound quality was compromised, adding some noise. E10 does not belong in this category; I was amazed, after several blind tests done with Savu. We both felt that this little device sounds a lot better than we could expect. The device looks nice, built entirely of anodized aluminum, which gives protection against wireless signals. It uses quality components, I will list some of them: ALPS volume pot, Wolfson WM8740 DAC chip, AD8397 headphone operational amplifier and TE2077 USB converter, which supports lossless files up to 24Bit / 96kHz and Bass Boost function. With the switch on Off position the sound is crystal clear, with the On position it adds 3 decibels to low end frequencies without changing the rest of the frequency spectrum. Amazing! How many components have fit in a box so small! 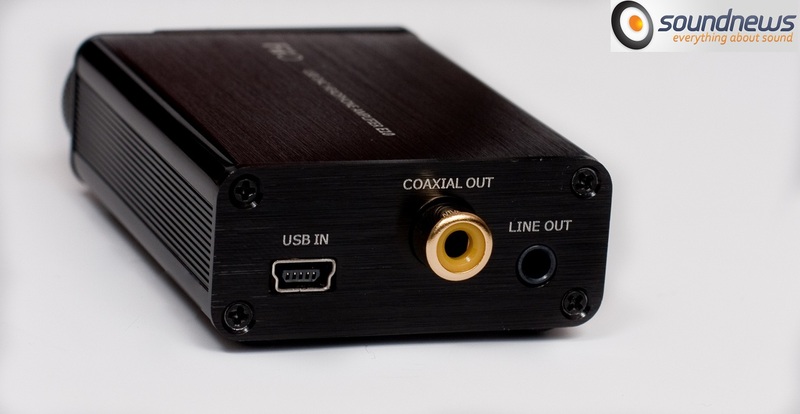 I should add that in addition to headphones, it can be used with speakers too, on the back having 3.5 mm Line-Out jack, it can also be used as a transport – USB to S/PDIF converter – on the back there is a coaxial connector that can carry the signal to another DAC, again up to 24Bit / 96kHz. Fiio E10 has quite an interesting sound signature, it easy approaches to the Naim Headline 2 or Burson HA-160D sound. The first thing that stands out is the bass. It is amazing how much bass can get out of this little box. Bass is deep, hits hard and is not muddy or slow. Low frequencies keep up with rhythm of the melody and at the same time are not losing control and do not cover the rest of the spectrum. I prefer setting „bass boost” to Off. 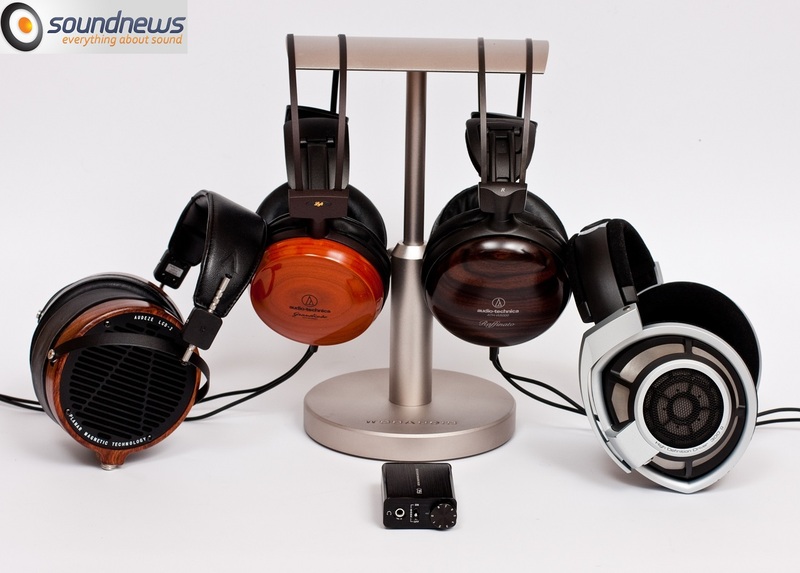 Once started, it becomes too much for some music, it becomes heavy and loses a bit of control – is a rather interesting effect on Sennheiser HD800, but on other headphones may become too much. This effect is worth trying on harsh headphones with hot treble (hello K701, DT880) or why not, on some electronic music, when one can wish a little more bass. After those blind tests we realized that the sound is warmer and sweeter than the sound we were used to. It is easy on the ear and tireless, it is due to slightly accentuated midrange. Voices and musical instruments based on strings, sounded great. 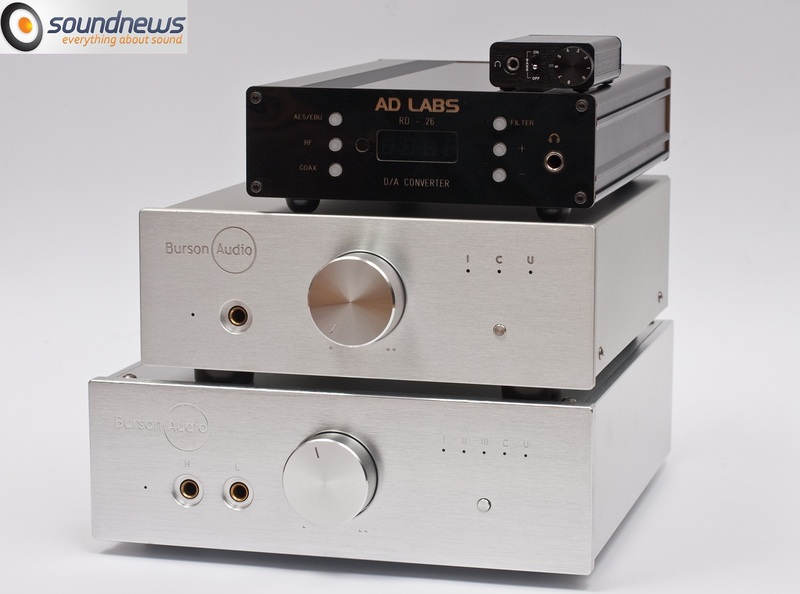 The DAC/Amp certainly has a great inclination towards bass and mids, frequencies that usually excites the ear. The device has a fun sound signature, it lifts your mood quickly on rhythmic music, having a good PRaT. However, the midrange seems the most pronounced, I would prefer it a bit lower; it can be seen that the manufacturer used specific DSPs to tune up the sound to it’s liking. It’s a natural sound, very pleasing to the ear, but is not linear nor neutral. Because of this sound footprint, extraction of some micro details suffered. Details, at times, seems more hidden and sometimes micro details are missing. I want to mention that we compared this little device with big and expensive DAC’s and the comparison is not entirely correct. High frequencies were also more reluctant, being slightly on the back, but not as hidden or nonexistent as was on the Creative X-Fi HD. The goal itself was to create a less harsh sound, but with it suffered a bit the level of detail and high frequencies extension. Because of this, music is liquid, flowing silently and is not bothering at all. Prolonged listening time does not bring ear fatigue, I’ve listened to music using E10 for hours without any issues. It should be noted the performance of the DAC/Amp on rock and electronic music, I felt like it was built with this thought. The level of energy you get is indirectly proportional to the size it has. The sound is easily comparable with sound cards/DAC’s in the 150-250 USD area. To my ears it’s more musical and vivid than an Asus Xonar Essence ST/STX soundcard, but it loses a bit in the details and the soundstage department. In fact, if I think, I do not see any direct competition for the price of 80-90 USD. If you are just started this hobby and want to know what is a DAC or if you are passionate for good music, but heard nothing but the on-board of your PC, this is a good place to start, I recommend the Fiio E10. The little guy uses a gain switch on the bottom (Low and High gain). On low it worked great on Grado RS-2i and on Audio-Technica W1000X an W5000, on high gain we used Audez’e LCD-2 and Sennheiser HD800. The amplifier is quite powerful, the op-amp used (AD8397) is famous for high power and very low noise floor. 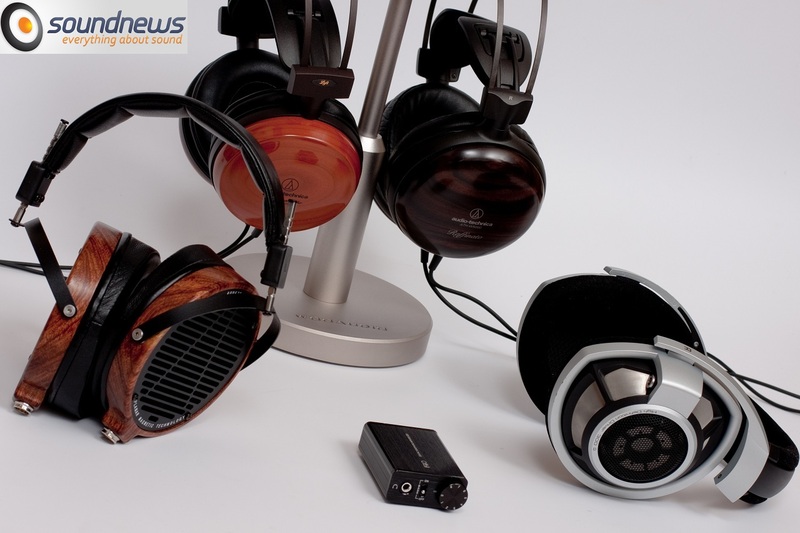 It is therefore commonly used in head-fi amps, for example it is also used in Headamp Pico or AMB Labs Mini3. 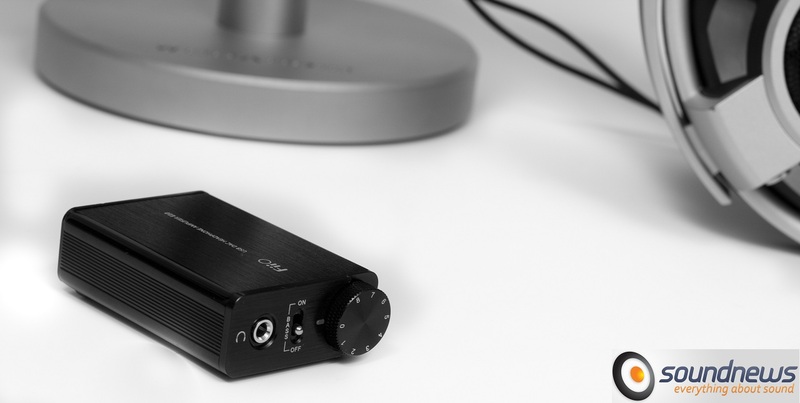 The little amp could quite easily power the LCD-2 orthodynamic and HD800 dynamic headphones without getting into clipping – a great achievement, in my opinion. Of course, it hadn’t such control over drivers how does big and heavy headphone amps, but it was pretty close. The amp also showed little problems with stereo image and with the position of the instruments in the space. E10 had a smaller soundstage than I was used to and the instruments didn’t have that personal space that was heard on the big amps. Music was more congested and instruments had less air – as expected for its size. On classical music, if I close my eyes I don’t feel sitting in the 20th row, but more in the 8th row, and musicians no longer have 3m distance from each other, but 1m. It doesn’t bother me too much, but it was felt. I tried to test out the rest of the functions it has. It worked great as a transport too, I connected it to PC via USB and used a coaxial cable to connect it to the AD Labs RD-26 and HA-160D. It worked well, I tried the high resolution files, that worked as well. E10 did not induce any electromagnetic noise from the PC, and once set as high priority in Windows 7, I have not heard any disturbing noise. It works perfectly with Wasapi (or ASIO on WinXP) and with Kernel Streaming too. I always prefer Kernel Streaming, because of avoiding the operating system while playing music and I’m always glad when a device can use it (many leading audio cards do not work with KS). I used it also as a DAC, feeding a Creek Destiny that powered the Dynaudio Focus 160 speakers. The sound got an extra bit of detail, but it felt that it is not as alive and bassy as on headphones. It sounded somewhat flat and lifeless on the speakers. Mids and bass, are not hitting so well anymore and high freqs become slightly more pronounced – all this denotes the sound signature of the op-amp used to amplify headphones. Also should be noted that bass switch and volume control are not working when using it as a pure DAC (Line-Out jack). You can’t wish more features at this price point, can you ? It is a dedicated DAC, a headphone amp and a transport (DD converter) that knows Kernel and Wasapi, all in a box slightly larger than a matchbox. From this product should take notes and major manufacturers of audio equipment. 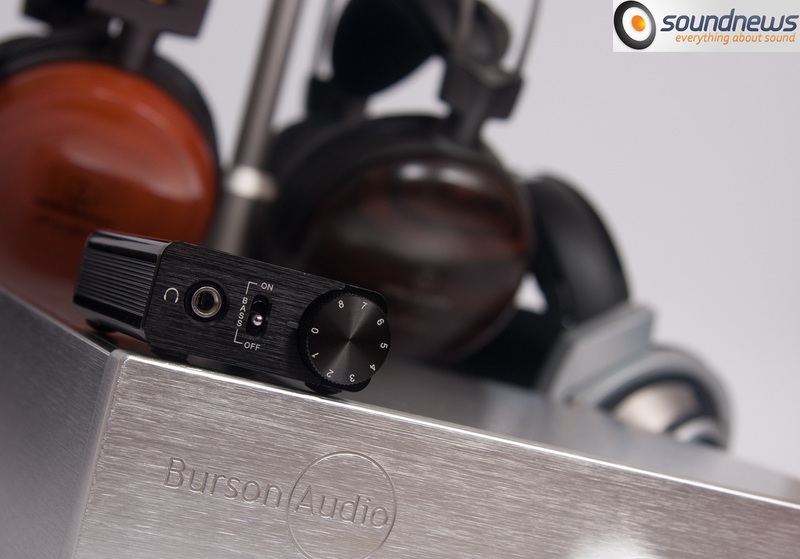 To initiate a man in the art of music listening is difficult, especially due to astronomical prices used by some, but this product makes the transition easier, accessible and sounds great. 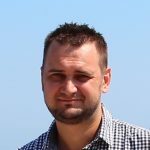 I have to repeat myself here, I was impressed not only by the product performance, but also by the multitude of functions it offered. I recommend without hesitation the Fiio E10. Unfortunately, in present it cannot be purchased in Romania, but can be ordered from abroad at a price of about 80-90 USD with included shipping. It fits very well with harsh or lifeless headphones; E10 will awaken their potential without leaving a big hole in your pocket. I’d like to know if it’s portable…with a sansa player…how is it powered please? Actually it is not a portable headphone amp, it doesn’t have a battery or a line-in jack. So you can use it only hooked to PCs or MACs. 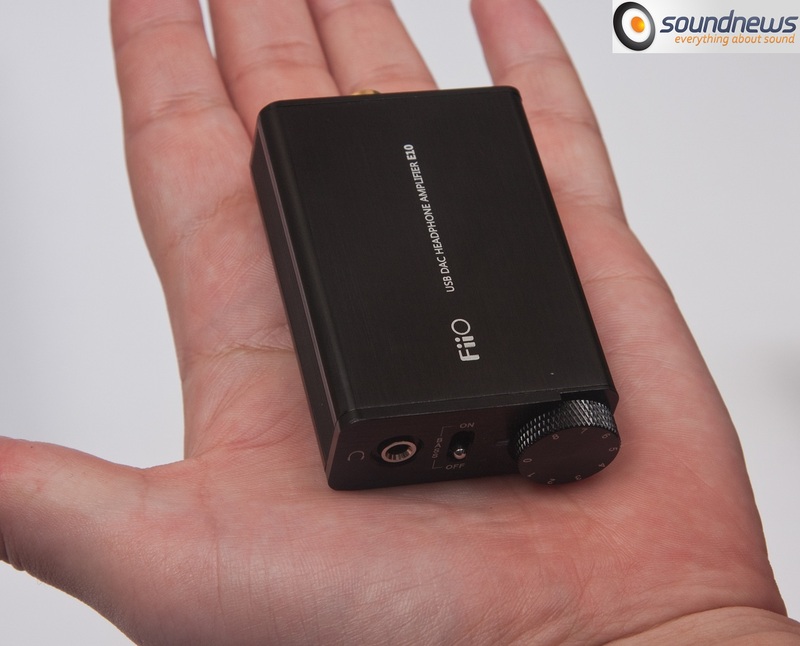 For DAC/Amp also a portable headphone amp please see the Fiio E17, I will make a review soon for it too, stay tuned.